RUSH: How about Mitch McConnell? Have you heard this? McConnell says… He’s the Senate majority leader, for those of you in Rio Linda. You know, I suspect that people in Rio Linda know this. Mitch McConnell said the reason why they’re not getting anything done is because expectations have been raised way too high, and these artificial time limits, they just don’t work. This is not how legislation gets done. You don’t impose artificial timelines, and then you don’t set these awfully too-high expectations. Senator McConnell, you know, we’ve spoken on the phone many times, and you know I respect you. But, sir, that’s not why any of this is happening. The reason why this is happening is, “Hey, we can’t stop Obamacare ’til you give us Senate.” So we gave you the Senate. Then you said, “We can’t stop Obamacare. We can’t get rid of it ’til we get the White House.” So you’ve got the White House! Now you’re telling us you can’t repeal Obamacare ’til you get 60 votes in the Senate. For seven years, you’ve been play-voting repeal it. For seven years, you had no compunction whatsoever to send up a repeal-Obamacare bill that you knew was gonna get vetoed. No, the reason people are upset here is because of what you’ve said that you were gonna do. It’s not because of artificial timelines or expectations have been raised too high — and if the expectations are raised too high, it is you guys in Congress that have actually done that. RUSH: Okay. Here’s Senator McConnell. This is in Florence, Kentucky. He was addressing the Rotary Club. MCCONNELL: I know everybody saying, “You’ve been there, haven’t done anything,” which, uhhhh, I find extremely irritating. MCCONNELL: Part of the reason I think that the storyline is that we haven’t done much is because, in part, the president and others have set these early timelines about things need to be done by a certain point. Now, our new president, of course, has not been in this line of work before. RUSH: Oh, here we go! MCCONNELL: Part of the reason I think people feel like we’re under — underperforming is because too many kind of artificial deadlines unrelated to the reality or complexity of legislating may not have been fully understood. RUSH: There you go. He also said that the expectations were too high. But so you see here, “Well, the president set these early timelines. He’s a new president who has not been in this line of work before. Part of the reason I think people feel that we’re underperforming, too me artificial…” No, no, no. Senator, it doesn’t matter that Trump is president. It doesn’t matter! For seven years, Republicans everywhere have been promising — except for Kasich (snorts) — to repeal and replace Obamacare. And with every election victory, another excuse was offered. When you get the House back? “Well, we can’t really do it ’til we get the Senate.” (chuckling) So Republican voters gave you the Senate, and then after that the excuse was, “Well, Obama’s still gonna veto it. We really can’t do anything.” We started getting the idea you don’t want to replace Obamacare. You don’t want to repeal it or replace it because the excuses for not doing so were rapid fire. I mean, it didn’t take long after each victory for another excuse to be launched. Gave you the White House. It’s nothing to do with artificial timelines or the president not being in this line of work. I don’t know how this is gonna fly. I don’t know how the Rotary Club in Florence, Kentucky, took this. But I’ll tell you, I’ve had a thought. As I said, I know Senator McConnell and I’ve spoken to him. He’s been very helpful over the course of recent years. There have been phone calls not on the air, but about legislation, about Senate procedure and so forth. He’s been educational in that regard. But I’ll tell you, something I can’t overlook. You talk about Senate procedure? Okay, we’ve got Collins and Murkowski. Where is the effort to turn them? Where is the effort to go get…? Okay, if you’ve got 52 Republicans and, say, six of them are not really on board with the other 46, where’s the leadership effort to go to them and do what you can to get ’em on team, get ’em on board? Or do you just sit there, “Well, Collins, she’s never going to vote for it. No way.” Why have leadership? Maybe there are efforts to turn them; I don’t know. But it just doesn’t seem like there are. I mean, when you boil it all down, it just seems inescapable that the Senate and the House majority do not want to repeal Obamacare. That’s what’s obvious. RUSH: I just went back to the archives and found something interesting. It’s from TheHill.com, and it’s from December of 2016, December 6th exactly. You know what the headline of this story is? Mitch “McConnell: We’ll Start Obamacare Repeal on Day One –(December 6, 2016) Senate Majority Leader Mitch McConnell (R-Kentucky) says legislation repealing the Affordable Care Act will be the first order of business in the new Congress. McConnell announced the agenda Tuesday, after meeting with Vice President-elect Mike Pence and Senate GOP colleagues over lunch. “‘When we come back January 3 we’ll be moving to the Obamacare replacement resolution. The Obamacare repeal resolution will be the first item up in the New Year,’ McConnell said, referring to repeal legislation that is expected to pass with a simple majority vote under special budgetary rules.” Isn’t it amazing what all did not happen? You go back last December, here’s McConnell who just yesterday at the Rotary Club in Kentucky was complaining that “artificial timelines” and too high expectations have led people to think that they didn’t get anything done. Why, on December 6, they were telling everybody (summarized), “It’s a slam dunk! The first thing we’re gonna do is wipe this thing out, and it’s just gonna be a simple up-and-down vote. There was no concern of any Republican defections. Simple up or down majority vote, gonna get rid of Obamacare. On January 3rd, it’s the first thing we’re gonna do.” (interruption) So you think it’s the protests. (interruption) Which protests are you talking about? (interruption) Okay. Oh, well, there were so many protests that were going on. There was the protest of Trump’s travel ban. Wait a minute now. Snerdley is saying they were afraid of Trump’s victory, and on December 6th they were saying anything and everything to let every Republican voter know that they got it. Trump won, and they won because Trump won. Trump was the reason they won. Trump’s the reason they got the majority, they’re gonna do it — and then it all began to fall apart. So you think that at one time, they were all genuinely behind Trump, and they were all excitedly behind Trump, and they were eager to help the Trump agenda move forward, then the protests came along and they chickened out? (interruption) “They were afraid of the voters…” So they’re afraid of something. They’re afraid of the voters or they were afraid of the protesters. “Afraid of the both.” And when the pedal hit the metal, the rubber hit the road, it was the protesters they had the greatest fear of over voters? Interesting theory. But it is fascinating to go back to this timeline, December 6th, look at the enthusiasm for getting rid of Obamacare, and it’s gonna be a simple vote. There’s nothing here about Collins or Murkowski not being on board. There’s nothing here about any kind of problem whatsoever. It’s just gonna be slam dunk. And here Roy Blunt’s all excited about the other ideas that they’ve got ’cause they have all these other ideas back in 2010 that Obama didn’t listen to. I think it was something else. I think it’s actually a combination of things, but if you’re gonna say that it was the pro-Obamacare protesters… Let me ask you in the audience. Do you think there was a time…? This is, to me, an interesting question. Blunt says (summarized), “Yeah, we can’t wait! We got a lot of ideas that we want to throw out there as far as the replacement that we had that Obama wasn’t interested in. Simple up-or-down vote. It’s gonna happen, first item of business.” Now look. Now they don’t get anywhere near it. So the question is, back to December 6th, was the Republican Party unified behind Trump, and were they just eager, ready to go to implement the Trump agenda and to repeal Obamacare? And if they were, then what happened? RUSH: This is Larry in Lexington, Kentucky. I’m glad you waited. Really appreciate it. How are you doing? CALLER: Wonderful, sir. Dittos. It’s honor to speak with you. RUSH: You bet. Thank you. RUSH: Let me tell you something about that. I happened to watch Mitch McConnell on election night when he won. And he sounded like every down-the-middle conservative I have ever heard. And he was promising all of these actions against Obama, Obamacare, whatever the policies were. He sounded like any conservative you have ever heard. And he was making it clear in his mind that that’s why he had won. 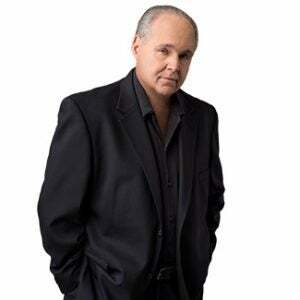 RUSH: I’m listening to a completely different guy who I hear speak on the Senate floor. RUSH: Okay, now, wait a minute, though. Wait a minute, Larry, let me ask, because we went back and found TheHill.com story from December 6th of last year where McConnell said, and very eagerly, “The first thing we’re doing, first order of business, repeal, replace Obamacare. Gonna be a straight up-or-down vote, it’s part of the budget.” He made it sound like they were eager, like it was gonna be a simple majority, was all it was gonna take, it was gonna be done. And Roy Blunt, his aide, was saying, “Yeah, yeah, then we got other ideas that what we can incorporate into the replace.” My question I’ve been asking everybody, if you’re prepared to take a stab at it — you don’t have to, but if you want to — what happened between last December 6th and when the Senate was sworn in? What happened during the month of December to make these guys go wobbly? RUSH: Well, the establishment getting to him, let’s explore that, how would that manifest itself? The establishment got to ’em, the establishment. Well, one thing that the establishment was doing was leaking all of this so-called collusion stuff between the Russians and Trump. I mean, that ratcheted up within 24 hours after the election. We know this now because of that book that was written by the two journalists that were embedded with the Clinton campaign, and they made it clear that this collusion, Trump-Russia, was hatched as a made-up excuse for losing. The Clinton campaign came up with this. They put it out in the media. The media of course ran with it, and here came all these deep state leaks that never had any evidence, to this day there isn’t any evidence, but every day they were the only stories and there were countless of them each day, further evidence supposedly of Trump colluding with the Russians. Now, you might say, did that frighten them off? Did that scare McConnell and the other Republicans in Washington? “Oh, no. Oh.” Did they believe it? Did they believe that there had been collusion? Did they think, “Oh, my God, they’re gonna get Trump. Trump’s not the gonna last”? My question is that December 6th story makes it sound like Mitch McConnell and a lot of the other Republicans were eager to go, they couldn’t wait to get in there, say, and repeal and replace Obamacare. It doesn’t specifically say it. That’s what you infer from the way the story is written, that they’re excited about it, that they’re committed to it. McConnell says it’s the first thing they’re gonna do. 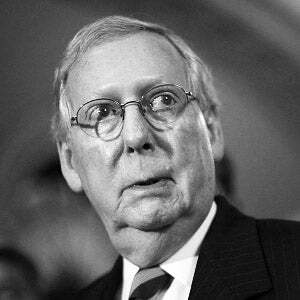 He came out to the Rotary Club and said, “Well, the perception that we failed is probably due to the artificial expectations people set.” Well, we now remember that it was Senator McConnell himself who set one of those expectations in that story back on December the 6th. But my question is, were they ever really fully behind Trump and his agenda and the repeal and replacement of Obamacare? And I’m not answering the question yet, ’cause I can go both ways on it. I could probably make the case that from the moment Trump won on election night, a palpable fear swept over them. They had expected to lose. They were ready to sit there and be in the minority, in the Senate. And now all of a sudden they’re thrust into the leadership. Oh, no! And I’m like many people; I think they expected Trump to lose and were just stunned that he didn’t.